“Youth Music Project” is the name of an elite group of teenaged musicians who will make their debut at the Waterfront Blues Festival this year. “Youth Music Project” is also the name of the nonprofit music and art school located near Portland which for two years now has welcomed all kids from pre-kindergarten through high school who want to play music. The Waterfront Blues Festival is owned and produced by the Oregon Food Bank with 100% of the proceeds going to the nonprofit’s mission of eliminating hunger and its root causes. This new partnership between the two-year-old YMP and the Oregon Food Bank seemed like a natural fit since the school serves families who could not afford music lessons. Also, the school is run and taught by people musicians in the area, many of whom were already regular attendees of the festival. 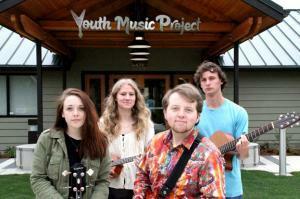 The Youth Music Project will be playing on the FedEx stage at 2:15 pm on July 4th.